The topic of combined heat and power units (CHP) are becoming more and more important to those who care about our environment and our future. And this with a good reason, because cogeneration of heat and power are increasing the combustion process, reducing emissions increasing energy efficiency. Around 50% and more of our daily energy consumption are totally lost in form of waste heat and through the chimneys pipe of modern electricity companies and only 49% of the Energy are used every day. In contrast to a CHP the effected heat as well as the kinetic energy of the generator will be reused. Consequently, the absolute efficiency level is around 90%, (+/-2%) - depending on the used aggregate. 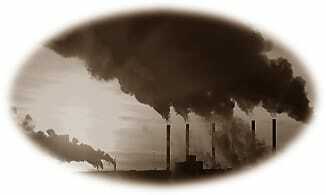 In other worlds it means a CO2 reduction of more than 40% can be achieved! a) To have an in house CHP means to have decentral power unit that make you more independent from the public utilities. Imagine there are a CHP unit in every houses, than this crowd could replace a whole power plant plus the electricity grid is far less vulnerable than before. b) The use of renewable energies like solar, wind, wave, etc. are linked to a high fluctuation of generated achieved and required energy, which has to be compensated. By a simply battery system this goal cannot be fulfilled and met today. Therefore a cogeneration of heat and power plant with its short lead time would be the perfect solution to safeguard the implementation of renewable energies, zero emission. Micro-CHP produces in comparison to classical CHP more heat which are in these case more desirable. According to our experiences and studies we have made remarkable results by choosing the Stirling engine. Nevertheless, it has to be pointed out, that the aggregates have to be selected always according to the application and anticipated goal. PACIFIC is looking forward to provide you the desired CHP units for your specific application.